The Naval Academy Club is located on the grounds of the U.S. 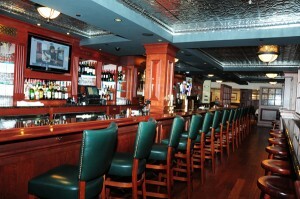 Naval Academy and combines military history and prestige with fine dining and customer service. The Club restaurant, The Alley, offers lunch service Monday through Friday to all patrons. 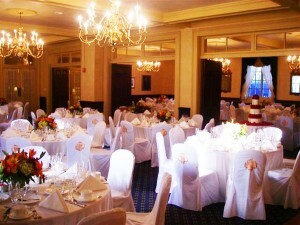 However, it is a Members Club for all other dining and events. The Naval Academy Club provides a place where members and their families, friends and associates can enjoy relaxed dining in an ambiance unlike anywhere in Annapolis. Members and their guests enjoy all the Club has to offer from dining in The Alley, attending Sunday Brunch, or hosting a private catered event. The Club’s full-service catering and banquet facilities are perfect for weddings, private parties, meetings, and other special functions. Our membership is made up of a wide range of individuals including military officers from all branches of our Armed Forces, USNA Faculty and Staff, many prominent Naval Academy Alumni and many others affiliated with the Naval Academy. For Naval Academy Club Membership information, please contact our Membership Coordinator at 410-293-2633 or e-mail membership@usna.edu. Dine with us in our restaurant “The Alley” and let us entice you with a delightful culinary experience in a distinguished yet casual atmosphere. Our diverse menu features our famous Crab Cakes, mouth watering 6 oz. Petite Filets and some of the best burgers in town! Join us on Fridays for Happy Hour including complimentary hors d’oeuvres and drink specials. For Reservations please call 410-293-2632 or email clubreservations@usna.edu. Thank you for adhering to our Dress Code Policy. Lunch Reservations are taken until 1:45 p.m.
Dinner Reservations are taken until 7:45 p.m. Lunch Service (11:00 a.m. – 3:00 p.m.) is open to all patrons. Happy Hours, Dinner & Special Events (including Sunday Brunch) are for Club Members and their guests only. Reservations are required for Sunday Brunch and Special Events are recommended for dining in The Alley. Guest means the sponsored guest with a Club member. Reservations by email @ clubreservations@usna.edu or by calling 410.293.2632.